A 2013 U.S. study found that young children who regularly take antibiotics are at a higher risk of becoming obese than children who take fewer drugs. There have been several interesting studies done on antibiotics in relation to weight. One study done with mice found that those exposed to antibiotics gained twice as much weight as those mice on the same diet. Another study proved that antibiotics have a significant effect on the body's hunger hormone, called ghrelin. It's secreted primarily in the lining of the stomach and sends signals to your brain to make you want to eat, and when your ghrelin levels are high, you tend to eat more, which leads to weight gain. We reached out to a real woman who've had a trying time with antibiotics. Susan shared with us that after consulting her doctor, she took his advice and started taking antibiotics to control her hormonal acne. After two months, she noticed a significant change in her weight. "Within a few months of taking antibiotics, I gained 14 pounds," she says. "I knew this wasn't normal, because this has never happened to me before in my life. I was at the highest weight I'd ever been in my adult life in such a short amount of time. And at that time I was already in a workout groove, going to the gym regularly, and eating healthy. I was so baffled and wondering why I was gaining so much weight." Soon enough, Susan realized the antibiotics were causing her weight gain. Six months in, her skin actually became worse, and she found that her hormonal acne began to flare up again. That's when she visited a nutritionist, went off antibiotics, and instead started incorporating probiotic foods into her diet. "I was eating two spoonfuls of bone broth, kimchi, and sauerkraut a day. My skin was glowing, and my hormonal acne quickly improved," she says. Now she's on the microbiome diet and seeing vast skin and health improvements. Of course, Susan's story is anecdotal, so to better understand how exactly antibiotics play a part in weight, we reached out to experts to get their take. Although now banned, for years sub-therapeutic doses of antibiotics were added to animal feed to promote weight gain of livestock," explains Pat Salber, MD, founder of The Doctor Weighs. "In fact, it has been estimated that more than half of antibiotics produced and sold in the United States prior to the ban was used as an animal feed additive. Although it wasn't clear how antibiotics were having this effect in animals, we now know that antibiotics have important effects on the billions of bacteria that live in the gut, including the guts of humans. And we know that these bacteria, collectively known as the microbiome, have significant effects on energy homeostasis and control of weight." Salber continues, "With respect to the latter, early research found that healthy lean people have a gut microbial population that is highly diverse with many different types of bacteria. Obese people, on the other hand, have less diversity with only a few dominant species of bacteria. These studies seem to confirm that the microbiome is important in the regulation of weight, but they do not answer the question of whether antibiotics cause weight gain." Salber confirms that the effects of antibiotics in relation to weight gain are still, in fact, up for debate. She notes an article published in The Annals of Internal Medicine that states there are no easy answers about whether antibiotics or probiotics cause weight gain, because the physiology that controls human growth is so complex. "In fact, there have been many theories about why we are experiencing a global epidemic of obesity ranging from inactivity related to the rise of television or the increasing prevalence of high fructose corn syrup in many of the processed foods that we consume," explains Salber. "Antibiotics seem to be the latest villain in the obesity story, but they may not be acting alone." 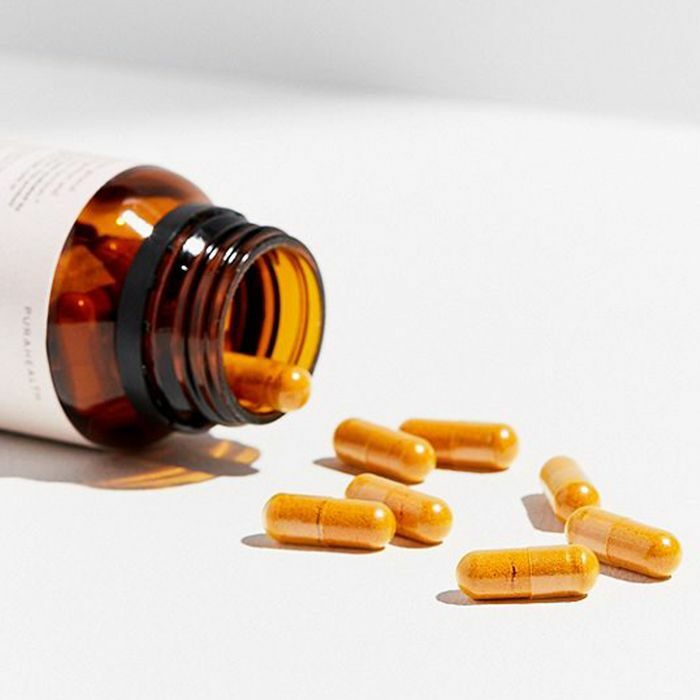 "Antibiotics cause destruction of digestive flora and bacterial imbalance, one of the most common causes of bloating," explains Christopher Calapai, DO, a board-certified osteopathic physician in family medicine, anti-aging medicine, and chelation therapy. "Additionally, antibiotics can cause a change in bowel habits and food and nutrient absorption, which may cause you to feel tired or weak." Calapai stresses the importance of not overusing antibiotics: "If mistreated, antibiotics can damage intestinal bacteria, and that translates into metabolic changes. They can damage mitochondria, which affects your weight because mitochondria's main job is to convert food into energy. Antibiotics can also increase blood levels of the ghrelin, which is a strong appetite stimulant." Roshini Raj, gastroenterologist, doctor of internal medicine, and founder of the probiotic-based skincare line Tula agrees. "Antibiotics are a class of drugs that are meant to kill infection-causing bacteria," says Raj, who explains antibiotics generally also kill off many healthy or good gut bacteria, which throws the digestive system off balance and allows an overgrowth of bad bacteria that may cause people to gain weight. Bad gut bacteria produce chemical compounds, like propionic acid, which can induce cravings, hunger, and inflammation as well as increase the amount of energy it takes for your body to digest food, resulting in a feeling of sluggishness and fatigue. Raj also notes that "due to the lack of good bacteria, your body is more prone to bloating and bowel irregularity" as well. "Antibiotics can affect natural organisms in the gut as well, causing some people to have fungal or yeast infections," explains Calapai. "Here is where probiotics come into play as a balancing agent to control normal intestinal flora. This is also why there is a common recommendation to take probiotics while you're taking oral antibiotics." "Probiotics are good for your bacteria and provide many health benefits when ingested," Raj agrees. "Probiotics have been linked to weight loss due to their ability to balance gut bacteria, improve better digestion, decrease inflammation, which is a result of less bloating, and help to better absorb nutrients from food. They have also been linked to faster metabolism and increased immunity. People have experienced some weight loss when taking a probiotic due to the improvement of their digestion and overall health." Raj stresses the importance of taking a probiotic supplement during and after taking an antibiotic. "It can take several weeks to get your digestive health back on track," says Raj. "The Tula Daily Probiotic + Skin Health Complex [pictured above] is an excellent source of your daily probiotics. It's formulated with three probiotic strains including Lactobacillus rhamnosus GG, which is the number one clinically studied strain for digestive health, as well as two other strains and vitamin C, which supports metabolism, energy, and skin health. Taking this probiotic supplement on a daily basis will ensure you are feeding your body the good bacteria it needs to get back on track." Both Calapai and Raj believe all people should consult their doctor before heeding any of this advice. "If antibiotics are medically necessary, then work with your doctor on ways to support digestive health during and after your course of treatment," explains Raj. Calapai is on the same page: "Speak with your doctor to make sure you know how you're supposed to take your drug and if there are other ways you can ease your illness. If possible and only after consulting with your doctor, try alternative methods."